Tread Carefully on the Sea – a book with adventure, romance and pirates. Winner in a readers’ poll. The prequel to Treasure Island. I enjoyed this book, it is entertaining and a good read. The story fills in the gaps and is a prequel to Treasure Island. It covers most things pretty well. A lot about the characters, and is a good story. 5* A FITTING HOMAGE TO A TIMELESS CHARACTERPicture a man of means, self-made, industrious and a leader of men. He appears well-read, appreciates the finer things life has to offer, and fearlessly faces down his enemies in a battle at the ballot box to democratically win and hold his constituency’s top position. He is not a business tycoon, nor is he a marrying man of models. Rather, he is author David K. Bryant’s Captain Flint, brought to life on the pages of TREAD CAREFULLY ON THE SEA, an incredibly rich and vivid adventure novel for all ages. Tread Carefully On The Sea by David K. Bryant is a truly exciting and believable tale of high adventure. The language and characters are credible and convincing for the time period depicted. The chronological sequence and suspense elements takes the reader on a interesting adventure. My favorite character was Jessica,as she embodied old fashioned grit but was still soft. Jessica’s duality of attributes has you rooting for her all the way. I recommend the book for adults and youngster alike, since history was depicted in a fun and exciting way. Captains and the Sea. Oh my! I’m not big on historical tales, but I love a good pirate story. That was what I expected to be in for with “Tread Carefully on the Sea” by David K. Bryant. I’m not 100% convinced that is what I got. However, the novel did have some interesting twists and some places that were a bit predictable.The basis of the story is that a group of pirates have decided to kidnap Governor Trelawny’s adoptive daughter, Jessica, at her 21st birthday party. While they hadn’t planned to take their four hostages with them on the journey home, lo’ and behold that is exactly what happened. In a panic, Long John Silver takes Jessica Trelawny, her maid Libby, her suitor Captain Townsend, and his second in command Lieutenant O’Hara aboard the ship. Although Long John’s commander, Captain Flint, handles the situation with a bit of care, it doesn’t mean there aren’t bound to be a few bumps in the road. I loved how the story moved from the moment the four end up on the ship with a bunch of pirates to how they escape.Some of this I felt could have been handled or told a bit differently, but I’m not a huge fan of the unlimited omniscient point of view. It can be a bit trying to keep up with the thoughts going on in a multitude of characters, especially if some of them are wholly unnecessary to the progress of the tale. I saw this mostly in the beginning and then again when mutiny amongst the pirates ran afoot after their hostages escaped.I did like the way the story ended, the way the author pulled in the ghost stories known to be associated with the Pirate House in Savannah, Georgia. It would definitely have me on the look out for Captain Flint’s medallion. Many books are written, few so well as David K. Bryant’s: Tread Carefully On The Sea. This is one novel that was not hodgepodge together for a quick release. It is a true novel in every respect. 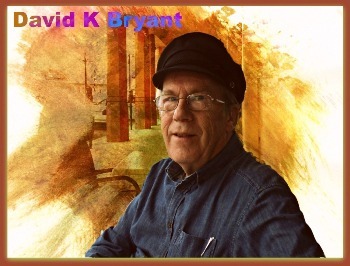 Though the plot is strong, paces and holds its story-line well, it is the descriptive writing and historical research that proves David K. Bryant as a fine and meticulous master of story telling. His gift of writing truly dazzled me. Tread Carefully On The Sea, is one tale to relish as each page is turned. If you plan to read this outstanding historical novel, be prepared for a true adventure. I can not wait for him to take me back through the years with his next book! that the guests of honor would be pirates.As David K. Bryant skillfully weaves the historical tale of Captain Flint and his crew of miscreants, the reader soon realizes that he will certainly be swept along with the current that is the swashbuckling adventure novel, Tread Carefully on the Sea.Bryant has certainly done his research on the 18th-century Caribbean, and it shows. As a writer of historical pirate fiction, I was able to sit back and enjoy a tale that I knew would be free of historical error, although it is written as fiction. Details about actual nautical facts eloquently disguised as dialogue or plot points within the narrative, pepper the entire book with subtle elements that make the story plausible.Without spoiling the tale itself, I will say that I was pleasantly surprised as a reader to find that, rather than reading just another historical fiction novel about pirates, I was indeed reading the prequel to one of my favorite classics.Tread Carefully on the Sea is one of few historical fiction books that I highly recommend to readers who love Caribbean history, adventure and pirates.Huzzah, David K. Bryant! When I first started this book I didn’t think I was going to like it much. I am not normally into books of pirates and the like. By the second chapter I was infatuated with the story and could hardly put it down. Lots of attention to detail, great story. I recently finished Tread Carefully on the Sea. I thoroughly enjoyed this story. I appreciated being able to get to know the many characters through the excellent descriptions of the author. Each character, with their own distinct personality, made the story fun and brought tension where it needed to be. The characters were all enjoyable, even the bad guys, especially Captain Flint. The heroine was not weak and I enjoyed her tenacity as she and her entourage made the best of a bad situation. The heroes had a big job to do and they encountered a great many challenges along the way, which kept the story exciting. I also enjoyed the scenes and the scenery both on land and shore. The descriptions were enough to get a sense of the place, but not heavy handed. I especially enjoyed the description of the ships. Tread Carefully on the Sea is a great book filled with adventure, pirates, humor, toil, honor, dishonor, and more! A Great “Prequel” to an Old Classic I Now Want to Re-read! Did you ever read “Treasure Island” by Robert Louis Stevenson? This new book by David K. Bryant sets the stage for the earlier classic. It gives a very believable “backstory” with never a dull moment.The pirates are realistically portrayed against the backdrop of a fascinating portion of the history of the Caribbean and the English navy. The pirates had previously been encouraged to attack vessels of countries at war with the English or competing with them in “The New World, but now one ship in particular sought them with a vengeance.Life in the 18th century is described in vivid detail. Characters include of course drunken pirates, English sailors and people who live on various islands including wealthy “gentry,” their servants, shop owners, and of course simple people just managing to “get by” as they live one day to the next, uncertain about what their future holds.When I began reading this story I could recall having read “Treasure Island” many years before. However, as I progressed in this new book, portions of what was to happen later in the old classic would be dredged up from my memories. Now I’m very glad I didn’t re-read “Treasure Island” before reading this book!I now want to begin reading the old classic again because I will “know” many more things about the characters, and the various settings in the story. I can’t wait to find what I am certain will be things I will now recognize as having just read about which the author David K. Bryant has skillfully woven into his book which originally appeared in the classic. Although I had known of the film ‘Treasure Island’ I had never watched it or read about it, but the names of ‘Long John Silver’ and ‘Captain Flint’ were also known to me. I guessed their characters but not much else. This book intruiged me as it let me delve into a possible world of these men. Pirates were always the bad men and rightly so in many cases, yet I found myself ‘liking’ Captain Flint especially! The story moves at a nice pace and the writing is beautifully done. The scenes are easy to visualise with just enough descriptions and each character is easy to imagine. I liked the four hostages and their situation kept me hooked, wondering what would happen. I loved the slight twist at the end (won’t spoil it), always a pleasure to read something supernatural and the story ended well. A very good read to which I am giving five stars. David K. Bryant is the author of the Roman novel The Dust of Cannae to be published in 2015 by Christine F. Anderson LLC. His previously published book is Tread Carefully on the Sea, a prequel to Treasure Island. Grab a copy and indulge in some reading time! I love to read books that are fun and have some history, reality. I love to learn and sink myself into other cultures and worlds. I visited Jamaica in March 2015 and loved what we learned from the people and culture. This book is a fun read that shares some history of this beautiful place and the beautiful people… awesome! Thanks for putting your “pen” to “paper” David and sharing some more of Jamaica with me! I love to read books that are fun and have some history, reality. I love to learn and sink myself into other cultures and worlds. I loved Jamaica and a fun read that share some history of this beautiful place and the beautiful people… awesome! Thanks for putting your “pen” to “paper” David! Anyone who loves nautical tales will delight in this read! Its content captures the thrill of early sea travails and the intrigue and mystery abound. Whether sitting with this book seaside or on dry land, this will keep you riveted and wanting for more!! A truly worthwhile and enjoyable read. Look forward to many more books from this author. A book that turns the pages for you – a truly captivating read and compelling story.The detail and visual description is exquisite. You find yourself feeling right there and in amongst it, immersed in the tale. You can almost smell the sea air, feel the swell of the ocean and hear the clatter of the pirates’ glasses of rum or heroine’s screams. The characters are all both extremely likeable and distinctly charming in their own ways. You soon find yourself willing the bad guys to get away as much as hoping the heroes will conquer. Each character is complex yet easy to understand.A truly worthwhile and enjoyable read. Look forward to many more books from this author. TREAD CAREFULLY ON THE SEA is a feast. From page one the detail about 18th century life in Jamaica captivates me. Soon, the kidnapping ratchets up tension and reveals the motivations of the pirates as well as the captives. Next, a romance sparks in spite of the danger, so the stakes are incredibly high. Finally is the part I love the most, I’ll call it the aftermath. So often in fiction, once the crime is resolved the book is done. But David K. Bryant goes into the aftermath—for the pirates and their victims. The reader is treated to a look at the big picture: What happens after the crime? How do the characters, wounded physically and psychologically, fair in the future. I especially love the Epilogue.One of my favorite scenes in the book comes after the major plot points are resolved—long after most books would have ended. This is the twist-filled scene in which the most unlikely character in the novel explains the significance of “tread carefully on the sea.” This kind of surprise is why I compare the book to a feast. Long after the basic plot is resolved, the story spins on offering connections and treats. And for lovers of TREASURE ISLAND, there’s the flawless flow toward opening of that classic tale.I honestly couldn’t remember much about TREASURE ISLAND when I started reading TREAD CAREFULLY ON THE SEA. So I technically read and enjoyed David K. Bryant’s novel as a standalone. Now that I know the background of Long John Silver and others, I have a new understanding of pirates, and I’m interested in revisiting TREASURE ISLAND.I think Robert Louis Stevenson would love TREAD CAREFULLY ON THE SEA and the voice with which David K. Bryant spun his prequel. 5 stars ~ Adventure, romance and more! 5 stars ~ This book absolutely did not disappoint. Came across the Author and his new book from an article in our local paper and was very intrigued to discover the events leading up to Treasure Island. This book absolutely did not disappoint. The Characters are fully developed and the story line provided the missing background but at the same time, it’s a book that can very easily stand on it’s own. Its packed with hgh seas adventure and romance. Truly a very satisfying book. I started recommending this book long before I finished it and now having finished it, I wish I was starting off fresh as a new reader! Hope we will see more books from this author!!! This is an amazing read of historical fiction. Piracy on the high seas, what could be more exciting? The historical element including the description of dress, nautical battles and customs of the times further enriched this rewarding experience. The characters are brought to life by the description of their hand gestures, facial features and actions. Tread Carefully On The Sea by David K. Bryant is a truly exciting and believable tale of high adventure. 5 stars ~ Yo ho ho and a bottle of rum! This story begins with a bang. The Governor of Jamaica in the 1700s, Edward Trelawny plans a huge birthday party for his niece who is coming of age. But, the black-hearted pirate, Captain Flint and Long John Silver have other plans and soon a kidnapping is underway. Not only is the Governor’s niece, Jessica, and her maid, Libby, captured, but a British Naval sea Captain, Michael Townsend, and his first officer Patrick O’Hara,,are taken captive as well while trying to rescue Jessica and Libby.A ransom is demanded from the Governor, which he pays in hopes of recovering his niece, but things go awry and the pirates get away with the loot and the captives.Author, David K. Bryant has done his research and the depiction of the famous pirate characters is very well done as well as the descriptive scenes that allows the reader to see Jamaica and the Caribbean sea trade as it was in that time period.It is a tale of honor in unexpected places and ways, as well as deception and ruthless treachery in others.If you like tales from the eighteenth century on the high seas, you will enjoy this book and it’s characters. An incredibly powerful story, I was gripped from the start. The author brings the characters to life, ensuring that you share their hopes, dreams, tears and fears. Once past the first few chapters, I simply couldn’t put this book down. Because we share a publisher, and I’d seen advance information on this prequel to Treasure Island, I was anxious to read it. I even re-read Stevenson’s book in anticipation. For the most part, I wasn’t disappointed. Bryant obviously did lots of research. His characters and settings are well-drawn and I think he captured the personality of Long John Silver, in particular, beautifully. His writing is skillful and compelling; there are many exciting situations that should have the reader flipping pages (or scrolling the screen). So why did I give it four stars instead of the five it almost deserves? I suspect the problem is a habit from the author’s experience in journalism. His invisible, omniscient narrator occasionally breaks into the story and takes center stage, adding bits of information or, worse yet, hinting about what’s going to happen next. This works for newspapers or the TV news (more to come, tune in at eleven); it’s deadly in a novel because it breaks the spell, reminding the reader that he’s not actually part of the action or even an observer, but is only reading about it. It’s distancing, and annoying in the extreme. The effect is rather like watching a movie, becoming totally engrossed to the point you forget it’s a movie because you’re “there,” and then your companion, who has seen it already, starts whispering comments—things he thinks you might not have noticed, or spoilers for the coming action. Foreshadowing is necessary, but it needs to be subtle, not done with a sledgehammer. “The crisis was over. Those fifteen pirates were on their way to another story. It’s one you should read if you enjoy great adventures. If you have read Treasure Island, Bryant provides satisfying and astounding answers to all the questions one might have about Flint and his treasure. The manipulations of Flint and his second mate are truly piratical, and Silver’s habit of playing both sides of the fence shows just how he’s able to wend his way through the slippery world of scoundrels. And the final meeting between Flint and Townsend is inventive and unusual.